Facebook Changes Contest Rules but Should You Do It? Facebook has changed its terms of service again. This time the change affects contests and promotions. Previously, third party apps were required to run a contest or promotion and Facebook functionality could not be used in any form. Now, you can run your giveaways on your company page wall and use features (likes, comments, messaging) to collect entries. This makes it much easier to administer a contest. Easier isn’t necessarily better in this case. Using Facebook or any third party platform to connect with customers relinquishes control of the connection. A company that establishes customer connections outside of its control risks losing everything. Every social media platform maintains the right to revoke permission to use the service. Restoration of a closed page is a challenging process with no guarantee or even expectation of success. A company losing a fan page is not a big deal if that page is simply conversation. But, when that page becomes the primary (or even secondary) means of communicating with customers and prospects, the loss is catastrophic. Facebook and other social media platforms want access to all of your data. The more data they have, the better they can monetize their business. Encouraging people to keep everything on the platform increases their access to proprietary information. Your company’s customer and prospect information is the most valuable asset in your business. It must be protected. Limiting third party access is a best practice every company needs because shared information can become public or be provided to the competition at any point in time. There is no reasonable expectation that social media platforms will limit access to the data they are compiling. The objective when participating in social media activities is to move people from the platforms to your company’s internal community. The best way to do this is to capture email addresses. Once they are moved, you can have protected private communication and transactions that turn connections into relationships. And, you can measure the return on investment for your social media activity. 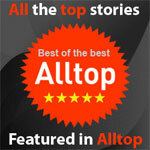 Create a newsletter that people want to share. Information that is helpful is sharable. 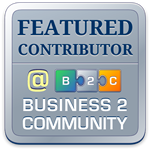 Find ways to tie your company’s products and services to tips that benefit potential customers. Add icons with a call to action to encourage sharing. Require people to submit an email address to enter contests and sweepstakes. 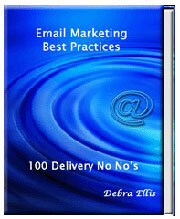 This is one of the easiest ways to increase your email list but there is a caveat. Prospects acquired via giveaways are harder to convert. Segment them separately and monitor their activity to determine the success of the promotion. 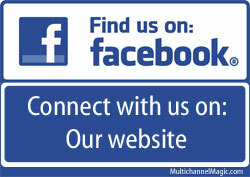 Promote your company newsletter on social platforms. Providing a teaser with a link for more information increases marketing reach and attracts new subscribers. Be careful to delay the release of information because subscribers seeing it readily available online may choose to opt out. Offer better discount coupons for people who opt-in to receive emails. Tiered coupons capture email addresses without sacrificing sales. Providing a discount choice between 15% with open access and 25% for subscribers motivates people to sign up to receive emails. 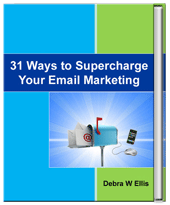 For more tips on connecting with customers and prospects, check out 31 Ways to Supercharge Your Email Marketing.